Our chairman, Dr. Sherrell J. Aston is a board-certified plastic surgeon recognized as one of the foremost international experts in aesthetic plastic surgery. He is the Surgeon Director and Chairman of the Department of Plastic Surgery at the prestigious Manhattan Eye, Ear and Throat Hospital (MEETH) in New York. He also serves as a Professor of Plastic Surgery at the New York University School of Medicine and Institute of Reconstructive Plastic Surgery. A recipient of numerous awards from professional medical societies, Dr. Aston has been named by Castle Connolly as one of America's Top Doctors, New York Magazine's Best Beauty Docs, Best Doctors in America, a reference guide of physicians elected by their peers. Dr. Aston is frequently featured in the media. After receiving his Medical Degree from the University of Virginia, in Charlottesville, Virginia, Dr. Aston did his post-doctoral training including a surgical internship and residency at the University California, Los Angeles (UCLA) Medical Center. Before being Chief Resident at UCLA, he was a Halsted Fellow in Surgery at John Hopkins Hospital. He continued his training as a Plastic Surgery Resident and Chief Resident at the Institute of Reconstructive Plastic Surgery, New York University Medical Center. Certified by both the American Board of Surgery and the American Board of Plastic Surgery, Dr. Aston is the recipient of numerous awards and honors. An internationally renowned teacher of aesthetic surgery, Dr. Aston has lectured extensively across the United States, Brazil, Canada, China, England, France, Iran, Mexico, Spain, Sweden, Turkey, and New Zealand; he has performed live surgical procedures in other countries including Brazil, China, Iran, Spain and Turkey. He organizes the annual Cutting Edge Aesthetic Surgery Symposium in New York. Dr. Aston has authored, co-authored and edited many original journal articles, book chapters and textbooks. Dr. Aston's research interests are facial anatomy in aesthetic surgery and techniques for improving surgical results. 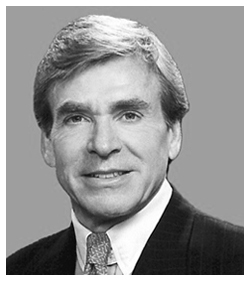 Renowned for his development of modern facelift techniques that produce natural results, he is also considered an expert in the closed technique of Rhinoplasty.